John joined Watsi on March 6th, 2014. 31 other people also joined Watsi on that day! 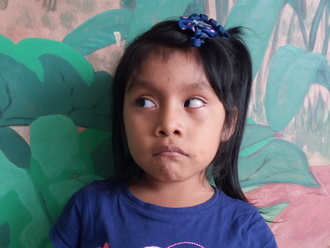 John's most recent donation traveled 1,500 miles to support Ana, a young girl from Guatemala, to fund eye surgery. John has funded healthcare for 159 patients in 11 countries. Ainembabazi is a 23-month-old baby girl from Uganda. Her parents are farmers who cultivate food for both home consumption and for sale. Ainembabazi was born with an umbilical hernia that has become more swollen and painful over time. Her parents sought treatment through our medical partner, African Mission Healthcare Foundation, and Ainembabazi is now scheduled to undergo hernia repair surgery to alleviate her pain on June 21. Her family is requesting $249 to cover the total cost of her procedure and care. “After surgery my daughter will grow with good health without on and off fevers she has been getting every night," says Ainembabazi's father. Sanyu is a 53-year-old married man and a father of ten. Living in Uganda, Sanyu works as a farmer and cultivates tomatoes and onions to sell, putting most of his profits towards his children's educations. Sanyu began to have swelling in his right groin region about five years ago. Seeking treatment at a government hospital, he learned he had a hernia and needed to undergo hernia repair surgery to eliminate his pain. After he was unsuccessful in receiving treatment from a government hospital and was unable to afford the cost of surgery at a private hospital, Sanyu came to our medical partner, African Mission Healthcare Foundation, for help. Sanyu is currently scheduled to undergo hernia repair surgery on April 26, and is requesting $249 to cover the expenses of this procedure. After his operation, Sanyu hopes to resume farming so that he can keep his children in school. Rattana is a 32-year-old painter from Cambodia. He is married and has two sons and four daughters. He likes to paint houses and listen to the news on the radio. Rattana was in a motor vehicle accident in October of 2010, causing a fracture in his left tibia. He came to our medical partner, Children's Surgical Centre, in November of 2015, undergoing a successful open reduction internal fixation procedure to heal the fracture. At his follow-up appointment in February, Rattana was doing well. Recently, however, he has returned to Children's Surgical Centre due to pain and discomfort around the repaired fracture. Our medical partner is requesting $411 to fund surgery to remove the hardware from his previous procedure, allowing him to feel more comfortable again. The operation is scheduled for March 7 at our medical partner's care center, Kien Khleang National Rehabilitation Centre. Chit is a 50-year-old man who was born in Yangon. He lives with his wife and son in a refugee camp in Thailand. Two years ago, a fragment of wood injured Chit's eye. He received treatment and was given eye drops from the medical clinic at the camp. Discomfort returned to his right eye shortly afterwards, and Chit's eyesight has begun to deteriorate. He is also experiencing headaches and pain. As a result, he has been unable to continue working as a farm laborer. Although the camp provides food rations, he needs income to buy more food for his family. During a visit from an eye specialist to the camp, Chit was advised to get a CT scan of his eye. Our medical partner, Burma Children Medical Fund, has arranged for this to be performed on April 4. The CT scan will cost $414 and will provide detailed information about what is causing Chit's eye injury. This will assist his doctors in preparing an appropriate treatment plan. 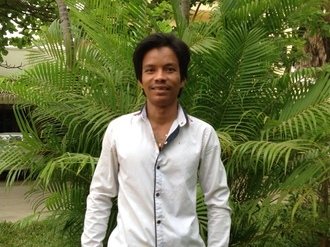 Chit says, "I hope to return to work to provide for my family and also start reading again." Leah is a one-year-old girl from the Philippines. She lives in a bamboo house with her parents, who are fishermen. Leah loves to play games with her sister. After noticing a consistent decrease in her appetite and her emaciated appearance, Leah's family sought assistance. Leah was taken to our medical partner, International Care Ministries (ICM), where she was diagnosed with acute malnutrition. Malnutrition is a treatable condition, but if left untreated, it can lead to developmental issues and can be fatal. ICM has decided to provide Leah with a home-based feeding program. The program provides nutrient-enriched food packs so Leah can regain normal weight and achieve optimum physical and mental development. In addition to the food packs, medical staff and community volunteers will make weekly visits to monitor Leah's progress. During their visits, the staff and volunteers will educate Leah's family members about proper nutrition, sanitation, hygiene, and organic vegetable gardening. The program is scheduled to start on February 23. ICM is requesting $268 in funding. Leah's mother is eager to have Leah start the program and get back on track. Rajabu is a 23-month-old boy and is one of five siblings. Early in his life, Rajabu's mother noticed that his stomach was increasing in size and that he was experiencing excretory dysfunction. She brought him to our medical partner's care center, Arusha Lutheran Medical Centre, to be examined. She learned that the end of Rajabu's digestive tract did not form properly. Doctors first performed a colostomy to provide temporary relief of his symptoms. The next corrective procedure Rajabu needs to undergo is a posterior sagittal anorectoplasty (PSARP). Surgeons will reposition the end of his digestive tract, allowing proper function of the digestive system. Our medical partner, African Mission Healthcare Foundation, is requesting $1,500 to fund Rajabu's PSARP surgery on January 9. Rajabu's parents are nervous about his upcoming surgery, but they are hopeful. "I hope that my child is able to grow up like other children after surgery," says Rajabu's mother. Chhoeuy is a 59-year-old rice farmer from Cambodia. She is married and has five children and ten grandchildren. She likes to join in ceremonies at her pagoda and listen to the monks pray on the radio. Three years ago, Chhoeuy’s work as a rice farmer became much more difficult due to the development of blurred vision, irritation, and tearing in both eyes. As her condition worsened, Chhoeuy began to worry about going blind. In December of 2016, she and her daughter traveled three hours to reach our medical partner, Children’s Surgical Centre (CSC). Chhoeuy was diagnosed with a pterygium, a growth of tissue, in each eye. This condition is relatively common for those who work outdoors. On December 15, eye surgeons at CSC will remove the pterygium from each eye, allowing Chhoeuy to see clearly again. They are requesting $148 to cover the cost of the operation. "I hope that my eye irritation stops and that I look better than I do now. I want to continue my work and go anywhere outside by myself,” Chhoeuy says. Ivy is a 43-year-old woman from a village in Malawi. She and her husband have four children, and they live on a maize farm. When they are not working, they enjoy spending time together as a family, talking and laughing. One year ago, Ivy developed uncomfortable gynecological symptoms. She learned that she needed to undergo a hysterectomy, but she could not afford the cost of surgery. When she learned about Watsi, Ivy and her family were relieved and happy. On December 6, Ivy underwent a hysterectomy. She is expected to make a full recovery and live a healthy life with her family. Our medical partner, World Altering Medicine, is requesting $643 to fund this procedure. "My family has been worried about my health," says Ivy. "I am thankful to Watsi." Jhon Emgie is an 18-month-old boy from the Philippines. His father is a laborer. Jhon Emgie loves to play with the other children in his community. 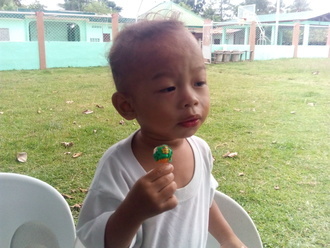 Jhon Emgie has been diagnosed with moderately acute malnutrition. He began $184 malnutrition treatment on October 20. He is being treated by International Care Ministries (ICM), a Watsi medical partner. One out of five children under five in ICM communities is either severely or moderately acutely malnourished. Worldwide, poor nutrition is associated with nearly half of all deaths in young children. In remote communities and urban slums of the Philippines, the lack of clean water and unclean environments add risk to potentially fatal childhood diseases. ICM’s Home-Based Feeding program provides nutrient-enriched food packs to ensure malnourished children get additional food to regain normal weight and achieve optimum physical and mental development. After identifying a child as malnourished, staff and community volunteers make weekly visits to monitor this child’s progress. To help sustain the health of the child, ICM's professional staff educate the mother, guardian, or other family members about proper nutrition, sanitation, hygiene, and organic vegetable gardening. Veth is a 56-year-old cement worker from Cambodia. She is married with four sons, one daughter, and six grandchildren. She likes to go to the pagoda and listen to monks pray on the radio. About four months ago, Veth developed a cataract in each eye, causing her blurred vision, pain, and tearing. Veth's cataracts have made it difficult for her to do her work and support her family. After learning about our medical partner, Children's Surgical Centre (CSC), from a neighbor in her village, Veth traveled for four hours with her son to reach CSC for treatment. On October 24, 2016, doctors performed a surgery and lens implant in each eye. Now, Veth should be able to see clearly and return to work. Veth is looking forward to supporting her family and walking around outside on her own. Veth says, "I hope that I can see everything more clearly." Veth's son adds, "I hope that my mother can see clearly so that I don't have to worry about her vision loss anymore." Charles is 60 years old and the father of 16. Charles lives in Uganda, about 40km away from Bwindi Community Hospital. Charles is a farmer and grows tea, and his wife is a subsistence farmer and grows cassava and millet for their family. He enjoys listening to the radio during his free time. He gets happy when he listens to his children speak English and hopes that they will get an education, which he never got. Charles has had a hernia for over eight years. He has been going to local clinics for pain relief drugs, which have been helpful. In March this year, there was a hail storm which destroyed his tea, and due to the worry of what would happen, he over worked himself trying to grow tea to be able to raise tuition for his children for next year, making his hernia grow worse. He now has difficulty in walking and even sitting. The pain has kept him from working and he has not been able to participate fully in daily activities for the last three months. For $208, Charles will undergo hernia repair surgery at Bwindi Community Hospital. He is subsidizing $4 of his treatment cost. "I thank everyone who supports having this surgery availed to me. May God bless you abundantly," shares Charles.